What you need: Paper plates, markers, construction paper, scissors. Trace out eyes and mouth. 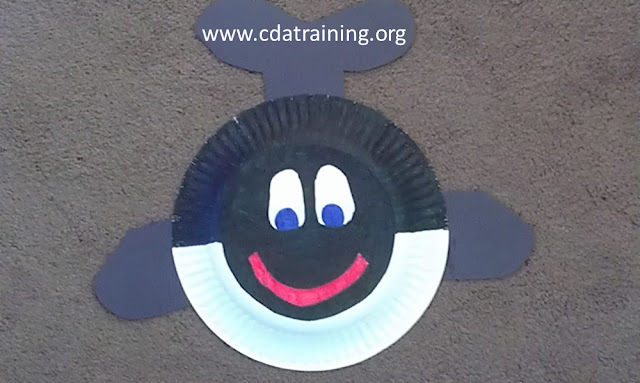 Allow the kids to color in their whale and attach the fins.